We covered this during BlackBerry’s Q4 quarterly earning results yesterday, but this news is so striking that it deserves its own feature. During the earnings call, BlackBerry CEO John Chen confirmed that the company would soon restart production of the Bold 9900, a device originally released in 2011, and one of the last BB7 smartphones. Chen stated in an interview with press after the call that he’s surprised by attention his decision has received, which belies both the brazen approach that has characterized his short tenure, as well as BlackBerry’s current business reality. 2.3 million of the 3.4 million devices BlackBerry sold in Q4 were BB7 devices; Chen is sticking with what works as he slowly builds BlackBerry’s hardware division back to profitability. To that end, the three “high-end smartphones” Chen said BlackBerry is set to release in the next 18 months will have a distinctly familiar feel. 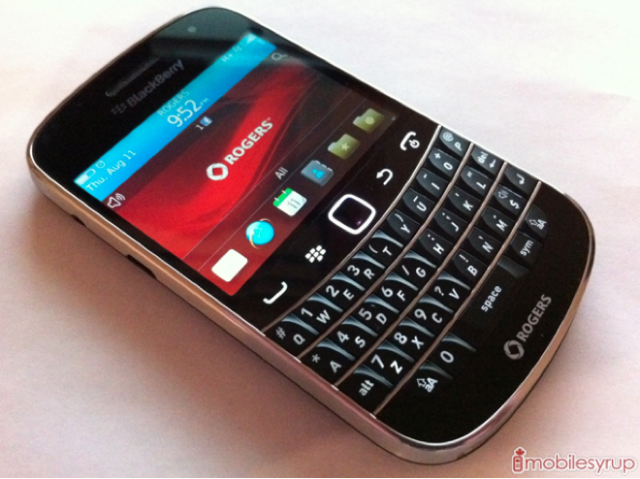 One device is the BlackBerry Q20, what Mr. Chen has dubbed ‘the Classic’ — a BlackBerry 10 redux of the Bold heritage featuring the return of the trackpad and function keys removed with the release of the Q10. Little else is known about the other two devices, other than that they will also be made for the QWERTY faithful that Chen rightly considers BlackBerry’s core hardware — and philosophy — base. Prior to Chen’s arrival, BlackBerry’s leaders for the last three years had concerned themselves almost obsessively with the massive platform transition between BB7 and B10 — between the old RIM of the past and a new BlackBerry of the future. Mr. Chen simply doesn’t care, or perhaps doesn’t have the luxury. He needs to keep BlackBerry afloat, even if it means playing the hits rather than pushing the new material. What’s old is new again.